With new technology coming out every day, it’s only right that you should be aware of new ways to protect your residence or business. 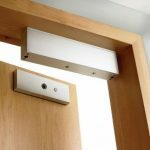 Sometimes, classic door knobs just aren’t cutting it anymore and you’re going to need something with a bit more security. 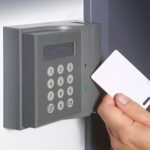 Therefore, electronic access control systems might be a better option for your particular security needs. One can easily manipulate and open traditional locks. Additionally, someone could make a duplicate of your key without your knowledge. 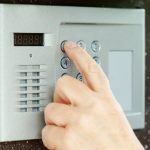 Mechanical push button locks or keypad doors also aren’t safe from intruders. As a matter of fact, they program most push button doors with the same code for different people and offer no way to check how many times they accessed the door, or exactly who has access to your door. Therefore, your home or business could be vulnerable and you don’t even know it! 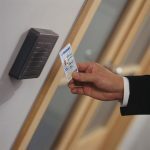 With electronic access, you are reducing the risk of unwanted entry to your home or business, while also ensuring you have knowledge of who is entering. Magnetic Locks are electric locking devices that are made up of an electromagnetic plate that hold up to 600-1200 pounds of force on the door with a push of a button. 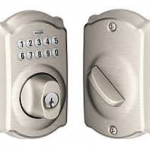 You mainly have two choices when it comes to choosing a magnetic lock which are “fail-safe” or “fail-secure”. Fail-secure means the door will still be magnetically shut when the power goes out, unlike the fail-safe lock that can be unlocked when power goes out. Most often also called “card readers”, these devices will electronically read the “access card” that is encrypted with a code/number or barcode. The administrator usually program these codes in. Then, the reader will scan the number and give access to enter. Most often used in businesses. Also known as “fingerprint scanners”, these devices can also verify the admin with physical or behavioral characteristics like reading facial pictures, iris recognition, and voice recognition. Seen in businesses and now seen more often then card readers. Biometric Devices offer higher security because they are fool-proof and have a lower chance of being hacked and misused. Additionally, you cannot share passwords off personal traits. Finally, Biometric devices keep track of the admins that log in to the system and the time of entry. Keyless entry or key fobs are electronic devices that can open a lock when in close proximity. They come in two pieces: the main lock, and the fob. 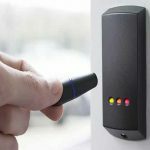 The fob, or also sometimes called a “smart key”, can be easily reprogrammed over and over again making it convenient for businesses and also homes to limit access to entry. Sometimes called (Schlage locks) that come in a key-pad style lock. With Key Pad Locks, you will never have to worry about forgetting your keys again because it’s almost impossible to lock yourself out. Most of these locks already come equipped with a pin code, but you can also customize them if you wish. You can usually place these devices at the entrance of the door. Intercoms can have a video camera and also a call button. This system gives owners accessibility to see who is entering the premises. Some intercoms can also be customized to buzz the door open. If you’re looking to upgrade your security system soon, Key Man Service wants to help. We offer unmitigated access to the best Electronic Access Systems in Santa Clarita. We are also flexible and make sure to come to your location in 20 minutes or less. Call us today at (661) 210-1182 and get a free quote over the phone, guaranteed.